Two rural Nampa brothers suffocated Thursday evening when they climbed into a truckload of barley and were sucked underneath the grain. Jeff and John Itami, ages eleven and twelve, were the beloved sons of Dennis and Kay Itami, prominent farmers and citizens of Nampa, a close-knit community in southwest Idaho. Canyon County Chief Coroner Chris Klein said the accident occurred at approximately 7:00 p.m., while a truckload of barley was being unloaded at the A-Bar-D Cattle Company feedlot south of Nampa. As authorities reconstructed the moments leading up to the tragedy, they determined the boys probably had climbed onto the truck bed where they were throwing grasshoppers into a trailer load of barley grain and watching the vacuum effect as the rapidly disappearing grain sucked the insects into the chute. Apparently, one of the boys fell in and the other jumped in to save him. They were both drawn into the grain as it poured at blinding speed from the V-shaped bed of the truck through a trapdoor in the floor. Despite the efforts of paramedics on the scene to revive them, the boys never regained consciousness. What makes this story more than just another tragedy is the prominence of the family and popularity in the region. 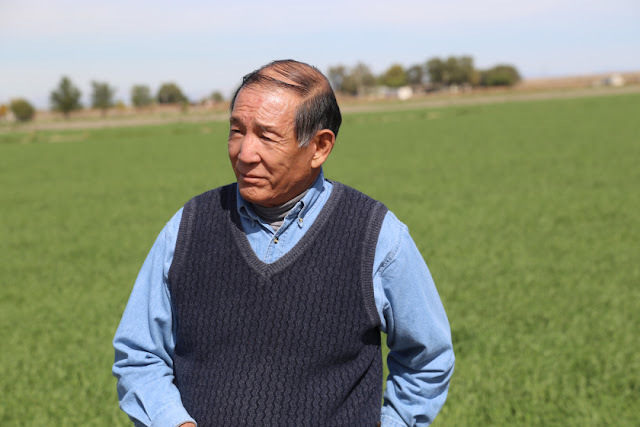 Not only did the boys attend Nampa Christian Schools, where their father served as chairman of the board, but the Itami family was also well-liked and highly regarded for their farming ability. In fact, Dennis Itami was named Idaho Farmer of the Year two times, a rare honor. After the death of their two boys, the Itami's enthusiasm for farming quickly waned. Dennis found himself halfheartedly working the soil. His farmer's heart was no longer in the land. So when a new business opportunity came along, he was somewhat more receptive than he might have been in the past. One thing Dennis Itami carried with him from his earliest years was a fervent belief in the free enterprise system. He regarded it as the ultimate level playing field for the "little guy" who was willing to roll up his sleeves and work. Up to this time, Dennis had always worked for himself. Even in high school, he had farmed eighty acres on his own. He never got around to visiting the high school counselor to discuss a direction for his life. He knew he belonged in the field. From those early days on, he never changed. He was his own man, doing his own work, in his own way. He never filled out a job application, never punched a time clock, never had taxes withheld from a paycheck. A rugged individualist, Dennis Itami marched to his own drummer. "One day, a friend of mine, Jim Kling, brought me a jar of a strange-looking green substance called BarleyLife. I'd never seen anything like it. Jim said it was being sold by a health-food store in Salt Lake City, where some guy was trying to start a marketing company out of his shop there," Dennis Itami recalled. "What's BarleyLife, Jim? Sounds kind of crazy to me." "Well, Jim and his wife, Carolyn, were friends, so I ended up buying a few jars of the stuff. I had always been healthy as a horse, so I didn't think I needed the nutrition it promised, but I bought some anyway. I guess Jim's enthusiasm was too much to resist. He'd always been a great salesman." "So there I was stuck with several jars of this powder, admittedly amazed and even bewildered at some of the testimonials Jim shared with me. The people's lives seemed to be much healthier and happier because of this product, but I was personally less than convinced it had much value." Dennis Itami was not into nutrition. In fact, he joked that whenever his truck approached McDonald's golden arches, the steering wheel automatically turned into the parking lot, so he could get his daily fix. "So I gave a jar to my dad, who had a serious problem with advanced spinal arthritis. He'd been run over by a tractor years earlier and would often spend hours on the floor because the pain was so severe." Experiment number one: Give the BarleyLife to Dad and see what happens. Not that he thought for a moment it would have any effect. After a couple of weeks his mother said, "You know, Dennis, I have a feeling this BarleyLife is really helping your father with his back. There's been a noticeable improvement, and I can't think of anything else that could be making the difference. I think he needs another bottle." "You've got to be kidding! ", I said. "I'm not kidding. He's out fishing, goes bowling, and is acting normal," his mother assured him. "Can't be the BarleyLife, Mom. Must be mind over matter. It's all psychological. Has to be." Meanwhile, Dennis was thinking to himself, "Well, if it makes Dad feel better, that's all that counts, but I just know there's nothing special about that green powder, and I'll prove it." Experiment number two: Give BarleyLife to the family dog. What does she know about psychology? "We had a great dog, but she was getting old and all hobbled with rheumatism. I figured, since no dog knows anything about mind over matter, this would be a great way to find out if the product could live up to its billing. So my wife, Kay, started putting BarleyLife in the dog's food." "Now, when I say our dog had rheumatism, I mean she was very slow. We'd even been saying we might have to put her down soon because we didn't want her to suffer." "Well, the craziest thing happened. That dog got well. She started running around the farm like she was a young pup. I knew it couldn't be mind over matter, so I started to take the product more seriously." "That's when I asked myself, 'What if this product really is as good as it seems? I wonder if it could alleviate the pain and symptoms of other illnesses as well. Would it be possible to make a business out of a product like this?" "Suddenly, Jim and Carolyn Kling's BarleyLife and their idea of doing this as a business to help people didn't seem so crazy after all." Before he knew it, Dennis Itami was caught up in the excitement of a new venture. Within six months, he and Kay sold their interest in the farm partnership and threw themselves into marketing nutrition, something they'd cared little about in the past. But they didn't tackle this new enterprise alone. Jim and Carolyn Kling continued to play a key role. The Itamis also leaned heavily on Don Miller, a local certified public accountant, to help them set up the operational and accounting side of the business. "If BarleyLife had come along earlier, I would have dismissed it. However, after my boys died, Kay and I lost our passion for farming. We became open to other opportunities." "Looking back, we know the Lord was in our decision from day one. In the years that followed, Kay and I saw people's cholesterol levels go down, arthritis pain go away, even diabetics found themselves reducing their dosage of insulin. It was the most amazing product we'd ever seen. We kept saying to each other, 'It just can't be this good!' "
"But it was and still is." "That's when Kay and I realized we had been taken off the tractor and out of the field for a special purpose. We were to help individuals and families get their health back and their lives back, to give them hope, and to help bring light to the eyes of those who were discouraged." "We started hearing stories that were almost too good to be true." "A woman named Rosie Stirm had been sent home to die of breast cancer." "She was on twenty-eight Zomack® tablets a day - a medicine as powerful as morphine. She had to take two tablets every two hours. She'd just be falling asleep when she'd have to wake herself up to take two more pain pills. Her body and her life were in ruins." "That's when some caring friends gave her a jar of BarleyLife, thinking it might ease her pain." "Now what I am going to say will not be true for everyone - and we still don't understand how it happened for Rosie - but within four months there was no trace of cancer. That was in 1983. She remains cancer-free today." "Did BarleyLife cure her? If it did, we have big problems with the FDA, because BarleyLife has never been approved as a drug. It's not a drug. It's food. I don't know how it all happened. I just know Rosie is alive today." Ron Wright remembers an autumn day back in 1982, a brisk, cloud-covered morning in Emmett, Idaho. The friendly community of five thousand men, women, and children was preparing for another day of work, play, and school. Ron had been one of those men, a real estate developer. But on that day in 1982, at the age of forty-seven, he was forced to retire from the profession he loved because of a recurrent heart condition. Since his father had died of a heart attack, Ron was not completely surprised. After all, these things run in families. The same man who had introduced Dennis Itami to BarleyLife earlier, Jim Kling, had also mentioned it to Ron Wright. Ron was not as skeptical as Dennis Itami. He chose not to experiment on other family members or pets, but to use BarleyLife himself for a month. To his surprise, his chest pain disappeared. He could hardly believe what was happening to him. Now, here he was, two decades later, a co-owner of The AIM Companies™. "It was over twenty years ago that I saw how certain nutritional products helped relieve the pressure of a tumor on my mother's brain. I was giving her a special aloe tonic all day long for weeks on end." "This experience made me realize there might be something to this idea of alternative medicine. Like lots of people, at first I didn't think much of it. Then when I saw tangible results, it opened my mind to new ways of thinking." "The experience with my mother certainly prepared me to accept concentrated nutritional products, something my parents never had available to them in their lifetimes. And I'll tell you, it still breaks my heart that my dad died of a heart attack at age fifty and never knew his grandchildren." "So part of my drive is to make sure I stay healthy to enjoy my own grandchildren. I spend every possible moment with them. We fish, hike, swim, and watch TV together. And yes, I spoil them, but that's what grandfathers are supposed to do, right? I couldn't bear the idea of not taking care of myself and possibly missing out on memories that last a lifetime." "You know, when I saw what good, consistent nutrition did to keep my mother alive, when everyone said she wasn't going to make it, that's when I decided to learn more about it. I'd never read a magazine on nutrition in my life." "I was a builder. I spent my time reading about how to build buildings. I tried to learn all I could about the latest building materials. That was my profession. It's all I knew, really. Pretty narrow in my thinking, I guess." "What did I care about nutrition? I'd never darkened the door of a health-food store in my life. If there was one in Emmett, I didn't know about it." "But when my own heart started acting up, that got my attention. That's when my friend and business associate, Jim Kling, sold me some BarleyLife. I was in such bad shape I was willing to try anything. After only one month, my chest pain was gone. Vanished." "But what you might not know is how BarleyLife also helped a retired U.S. marshal friend of mine in Emmett. He'd been through three bypass surgeries and was in terrible shape. He couldn't mow his lawn or do much of anything he wanted to do." "But after taking BarleyLife for a few months, it's like he got his life back. He could mow his lawn, take long walks, breathe without effort, take trips and enjoy his life again." "Remember, this is not medicine and I'm not making medical claims here. I'm just talking about what the purest form of nutrition has the potential to do for a person's body." "For example, I gave a bottle of BarleyLife to a retired teacher and football coach who suffered from diarrhea for years. He'd quit teaching because he'd had one accident after another in front of his students." "Imagine how that would feel. We laugh, but we wouldn't laugh if it were us." "Well, my friend was in so much pain and so embarrassed by his condition, he had to quit teaching and coaching. Within just a few weeks of taking BarleyLife, though, his diarrhea went away and never came back." "After seeing all these amazing results, I couldn't keep my mouth shut. So I started sharing the product with everyone." 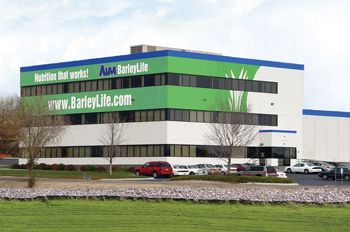 "During all this time, I kept talking to Jim Kling, who introduced me to BarleyLife in the first place. I kept hearing these great stories, and I'd go check them out to be sure they were true. And they were. I knew this product would make it big one day, and I was getting so excited I could hardly contain myself." "Then one day, Jim Kling gave me the bad news. He said there had been some financial reversals at The AIM Companies and there was a good chance it might fold. There was no way it was going to fold, not if I had anything to do with it. That's when I called Dennis Itami and asked if I could help." "I began visiting his office late at night when I saw the lights still on. Many times they were still on until midnight. Dennis and his wife Kay were doing all of this by themselves. They'd smile and remind me this thing called 'free enterprise' wasn't exactly a cakewalk." "It started out as a friendship, since I was already an enthusiastic member of The AIM Companies™. However, it quickly became more than that, as I was aware that Dennis was struggling for cash. When a mutual friend suggested that I get involved, I did." "I'll never forget the night Dennis Itami asked me to become his partner. I'd actually gone by to pick up some BarleyLife, when I wound up in his office. It was actually kind of a warehouse and office combined." "There Dennis sat, not appearing very happy, looking over a spreadsheet, struggling with some discouraging numbers. I guess he knew a little bit about me from Jim Kling, because he looked up from his dismal business forecast and said, 'Ron, why don't you just buy me out?' "
"Business is that bad?" I asked him. "He said, 'Actually, the business is coming along fine.' "
What Dennis Itami didn't know at the time was an employee was stealing him blind. "Dennis thought there wasn't enough cash to keep things going. So when he asked me to buy him out, I had to find some way to help. BarleyLife is a great product, and it was keeping me alive." 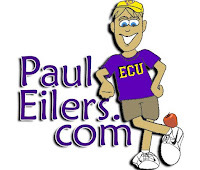 "I had a pretty substantial sum of money I had put away over the years. I could make it available to get the company back on track, if that's what it would take. But not without Dennis Itami. A few days later, I got a call to set up a meeting with their attorney to take the next step in forming a partnership." "Well, to make a long story short, I got involved big time. And even though we almost lost our shirts a couple of times, we're still in business today and growing as never before. What was dismal then is phenomenal now." "I'll admit that I did roll the dice. I risked up to half my financial worth to pull the company through the two years I served as president. It took me a lifetime to acquire that money and I wrote the check in less than a few minutes." "But when you know something is right and the people combination is right, you've got to take action. I knew BarleyLife would be the fast food of the future and I was determined to do my best to make sure as many people as possible would have it available to them." "My wife, Opal, has taught me so much about caring for other people. Most important, she's taught me there's always something new to learn." “Everything we experienced has been designed for us to use to help someone else. She never stops reaching out or studying new possibilities for improving the quality of life." "Even though we've been in business now for over thirty years, in so many ways, I feel like we're just getting started." "So as the reports of our products and their benefits continue to spread and the quality of people's lives continue to improve, I believe, no question about it, the best years for The AIM Companies are yet to come."